“Floral Fauna,” a combination of two nature-centric shops, will open soon at 1724 East Passyunk Avenue, the former Avenue Cheese Shop. The new store, which promises “exotic pets, house plants, fresh flowers and so much more,” is the brainchild of long-time friends Franco Franchina, Chris Urban, and Marianna Coppola. 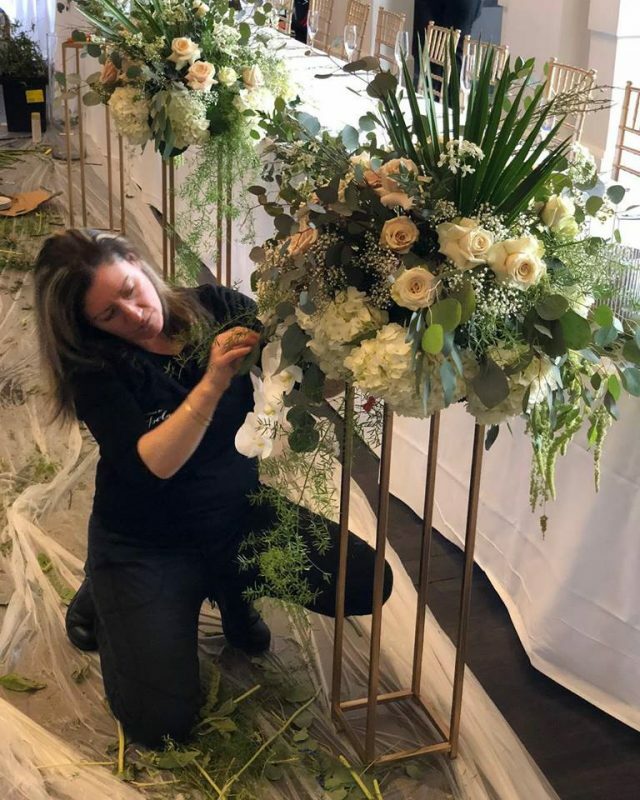 The trio decided to create a shared space to host their already-established businesses: Creations by Coppola, specializing in floral and event design; and ILLExotics, featuring tropical fauna and flora. Franco Franchina (left) and Chris Urban set up a display case at the new shop. Chris and Franco, who are also life partners, will present some very unique fauna: exotic reptiles and amphibians not usually seen outside of zoos. 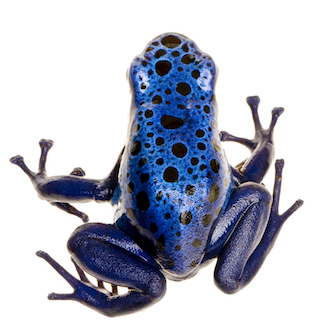 As Chris stresses, “This is not your typical pet shop.” If their website is any indication, the options will be colorful conversation pieces: chameleons, dart frogs, scorpions, and much more. Franco worked with exotics from a young age, but his “obsession…was always with plants and reptiles.” He parlayed his hobby into a Biology degree with a concentration in horticulture and herpetology (reptiles and amphibians) from Stockton University in New Jersey. Chris studied at Philadelphia’s University of the Arts and traveled the world as a performance artist. 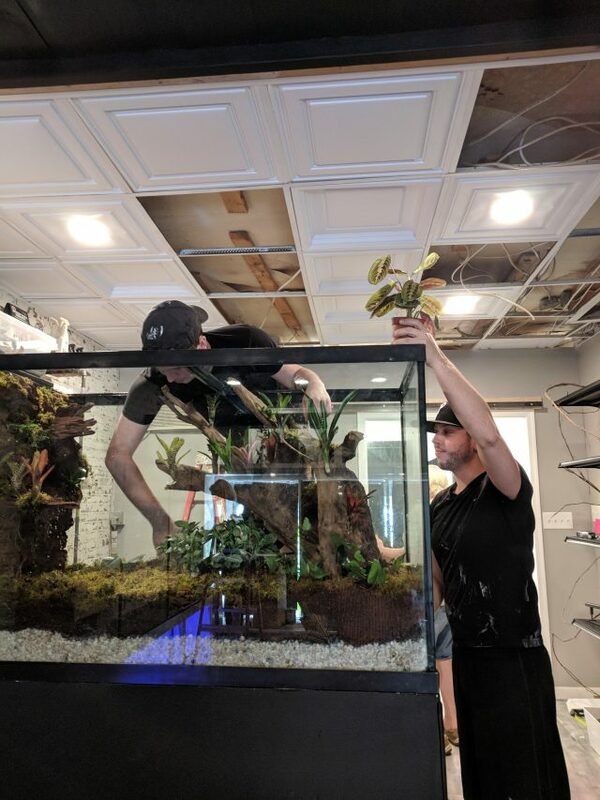 After meeting Franco, he developed a passion for “dart frogs and tree frogs – and creating the naturalistic vivaria for each species…” Vivaria are enclosures, like aquariums and terrariums, prepared to create semi-natural conditions for pets. The shop will feature BioActive habitats which create miniature ecosystems for the reptiles. They’ll also feature plants like orchids, succulents and cacti which will thrive in a rowhome setting. The other flora in the shop will be curated under the artistic eye of Marianna Coppola. Coppola promises fresh flowers available daily. She’ll also provide floral design and event services. And, if we’re lucky, she’ll distribute another “flower bomb” or two. Coppola has also created public art installations featuring flowers. The first, which she referred to as a “Flower Bomb,” appeared overnight last October on a light pole outside Barcelona Restaurant. Another installation appeared last December at 10th & Spring Garden. 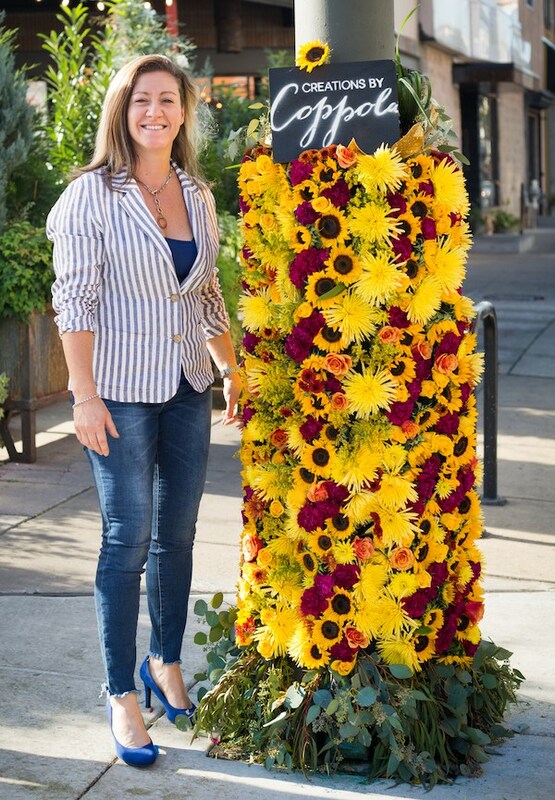 Marianna Coppola with her “Flower Bomb” installation outside Barcelona Restaurant. Fall 2017. Photo courtesy of CreationsbyCoppola.com. Besides establishing a successful business, Floral-Fauna’s owners share another common goal: educating their customers – with an emphasis on outreach to local schools and other organizations. One event is already in the works: this summer, the East Passyunk Community Center will send student campers to a reptile tutorial at the shop. The shop also envisions evening BYOB terrarium-making and floral arranging classes for adults. These will be more intimate, one-on-one lessons, with class size limited to 10 to 12. The shop’s grand opening will be late June, with a friends-and-family-only soft opening mid-month. Upcoming Events: Celebrate Odunde, Rosé, and more.